Dr. Vega received his undergraduate education in respiratory therapy and Health Science from Loma Linda University. Following a number of years of clinical practice, he went on to graduate studies in management and business administration from the University of Redlands and Chaminade University respectively. Dr. Vega began working in higher education in the late 1990’s, and decided to pursue a doctoral degree in management and organizational leadership, which he completed in 2004 from the University of Phoenix. Most of Dr. Vega’s early professional career involved clinical practice and management of clinical operations within acute care, home care, and outpatient clinic sites. As a mid-level and senior manager in health care organizations his primary responsibilities involved organizational operations, quality assurance, and continuing education. 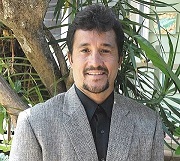 In the late 1990’s following about 20-years of health care management experience, Dr. Vega began teaching business administration, management, and healthcare courses as an adjunct faculty member for a number of local colleges and online university programs. Over the last 12-years Dr. Vega has held management positions within higher education programs at both the undergraduate and graduate level. He continues to teach online as an adjunct professor. As an author, Dr. Vega has received a 1st place in research award for co-authoring an article on Hyperbaric Medicine. He has also authored other published work in health care, and management and is actively pursuing research opportunities in business and health care administration.